From food, to music, to craft, Kyoto is home to some of the masters of Japanese culture, including some of the country’s best kimono makers. 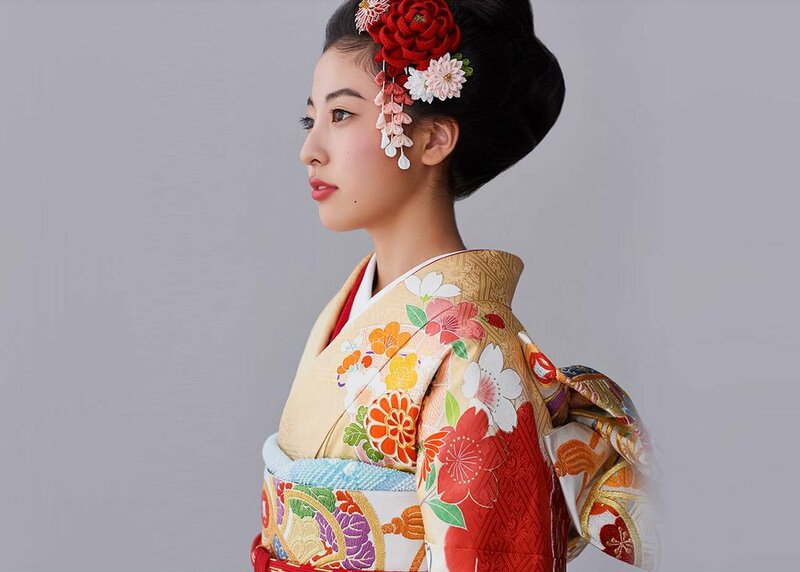 If you’ve ever though about investing in a classic piece of tailor-made Japanese history then you need to discover where to buy kimono in Kyoto. Whether you’re on a tight budget, or flush with cash, here are 5 of the city’s best places to buy your own kimono. If you’re doing your kimono shopping in Tokyo, we’ve got you covered, head over to the 9 Best Stores to Buy Kimono in Tokyo. 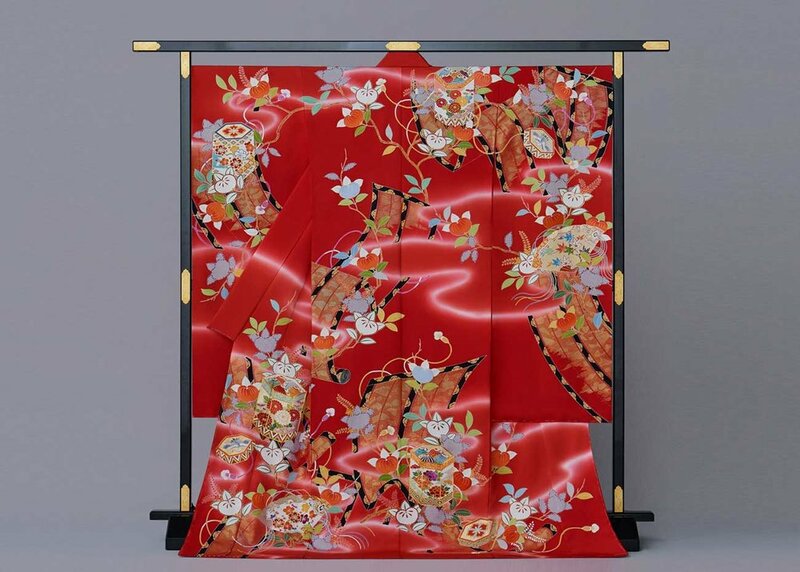 To learn more about the designs and inspirations behind kimono, check out 9 Must-See Masterpieces of Kimono Design. If you’re serious about kimono shopping, then it would be a crime to bypass Chiso, one of the city’s most impressive outlets. This stunning kimono store balances preserving traditional style and aesthetics while bringing the classic art to the 21st century. In 2006, the store opened its kimono salon Sohya, a way for people customers to find exactly what they want no matter how difficult or obscure. Because the store itself is styled after a salon, Sohya’s staff are able to tailor make every inch of the kimono experience to your taste, from measurements to fabrics to accessories. Do bear in mind though, that a brand new kimono is not cheap! If you’re not too sure of what you want yet and are chasing a little inspiration, check out Chiso’s gallery, located on the second floor of the company’s headquarters. Open to the public, this impressive collection features Chiso’s work as well as a collection of artifacts covering many facets of the kimono making process. Hours: 9:30am to 6pm, closed Wednesdays. More details here. Located beside Chion-in Temple, one of Kyoto’s most iconic sites, sits Antique Kimono Yaya. If you’re in the area checking out the sites, be sure to make a detour to this impressive traditional store. 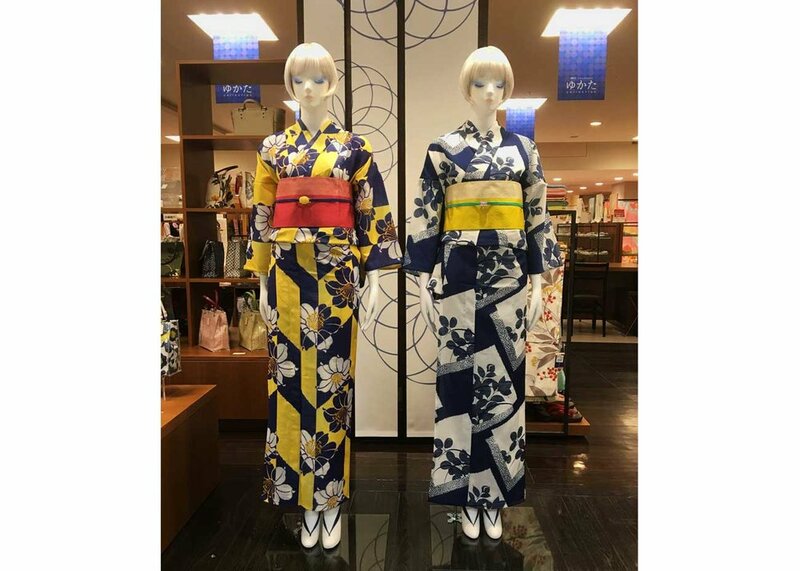 Aside from kimono themselves, this store sells all manner of items made using all using kimono and traditional Japanese obi fabrics, including hawaiian shirts, dresses, and accessories. If you’re chasing the classic Japanese garment however, then of course Yaya stock them too. Both new and recycled, there’s an abundance of options on offer, and the friendly and well knowledgeable staff here are more than happy to accommodate your needs. Hours: 11am to 6pm, open every day except new year and obon festival (midsummer). If you’re wondering where to buy cheap kimono in Kyoto, there are plenty of thrifty options. And when it comes to Japanese thrift stores, there’s no name more iconic than Chicago. The outlet is probably most well known in Tokyo (with stores in Harajuku, Shimokitazawa and Kichiyoji) however they do have an impressive store in Kyoto too. And if you’re after a carefully cared for pre-loved kimono at a decent price, then Chicago is where it’s at. One of the most unique aspect of Chicago stores are their meticulous layouts and huge collection of vintage apparel, which includes kimonos. Featuring every color imaginable all carefully arranged, the thrift kimono experience is a unique way to find that one-off piece. If you can’t make it to Kyoto, many of the chain’s other stores across the country also sell kimonos, so check them out! While you're out shopping, here are a few suggestions of where you can take a well-earned break in downtown Kyoto! Hours: 11am to 8pm, open every day except new year’s day. More details here. Kyoto is actually the home of flea markets, and if you’re on the hunt for a very authentic local garment you can’t miss one of the city’s many bustling markets. If you only want the best of the best don’t miss the Toji temple market which happens on the 21st of each month, the Kitano Tenmangu which runs on the 25th and the Chionji market which is held on the 15th. Spending some time strolling around and exploring the stands, while meeting the friendly local vendors, is one of the best ways to really immerse yourself in Kyoto’s more laid-back lifestyle. With a little asking around chances are you’ll come across a hot tip on where to buy the best kimono in the market! 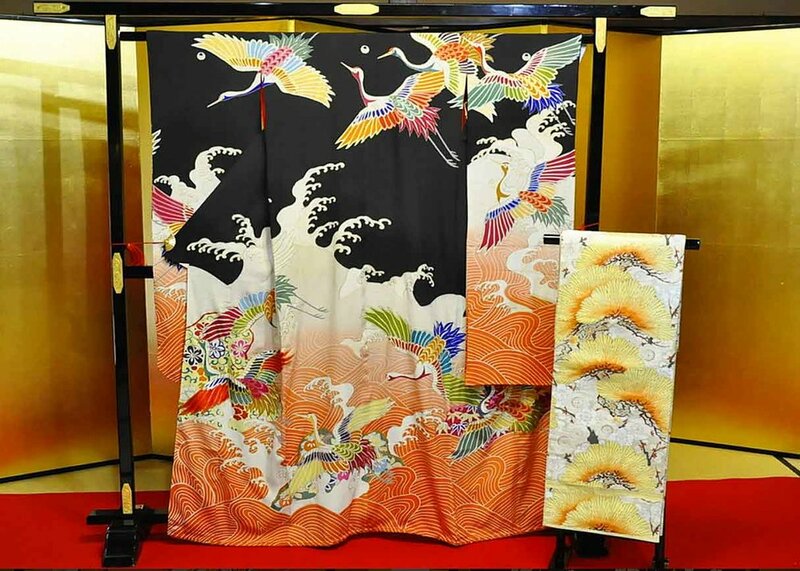 For the more high-end kimono shopping experience, then make a trip to Takashimaya, Japan’s fancier department store. Located on the fifth floor of the building complex sits Takashimaya’s allocated kimono department. Overflowing with stunning garments and helpful staff, this is arguable the easiest way to pick up that perfect fitting kimono. Located just 10 minutes away from Takashimaya sits the store’s biggest rival, Daimaru, another impressive monolithic department store that’s home to a wide selection of kimonos. If you’re heading to the station, make your way to the Isetan department store. It may not be as big as the other two, this conveniently located outlet stocks a selection of yukata and kimonos worth checking out. Perhaps you’re only in town for a short time, or purchasing a kimono seems like too much of an investment, then renting a kimono is another handy option. Some honorable mentions in Kyoto include Kyoto Kimono Rental Wargo, who offer a range of different styles, including an impressive selection for men, from six stores around Kyoto, including the Kyoto Tower. For those who are strapped for time, check out WAK Japan, a specialized and professional company will come to your house or hotel room and take your measurements. Once you've got your kimono, here are some highlights of the geisha district for you to visit! Have you bought a kimono in Kyoto? Do you have any tips or great experiences? Let us know in the comments below!